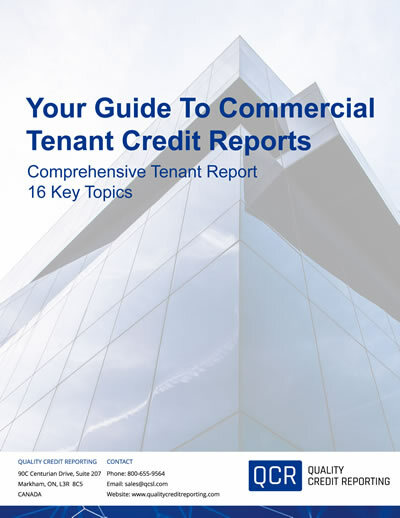 Our brochures offer industry specific information compiled in an easy to read format. 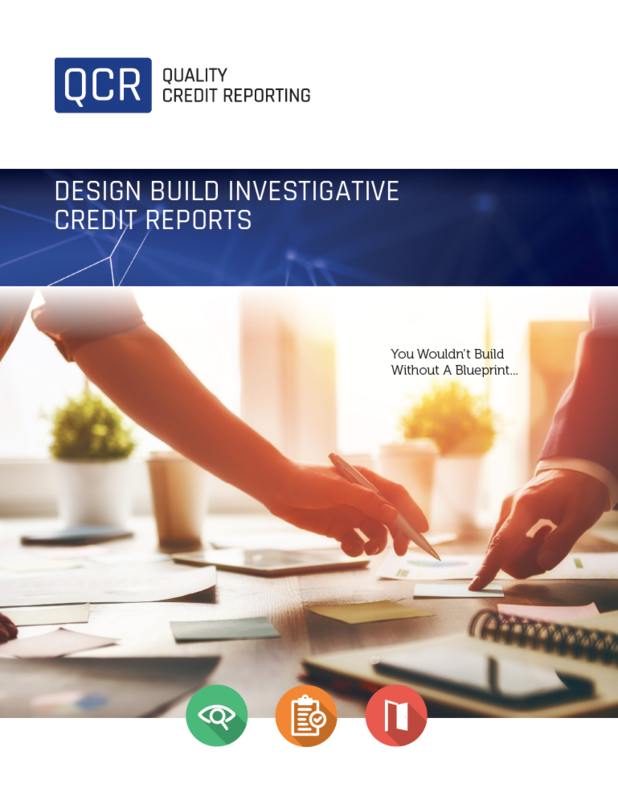 Request a brochure and learn more about our extensive and comprehensive reports that help reduce risk and lower your costs. 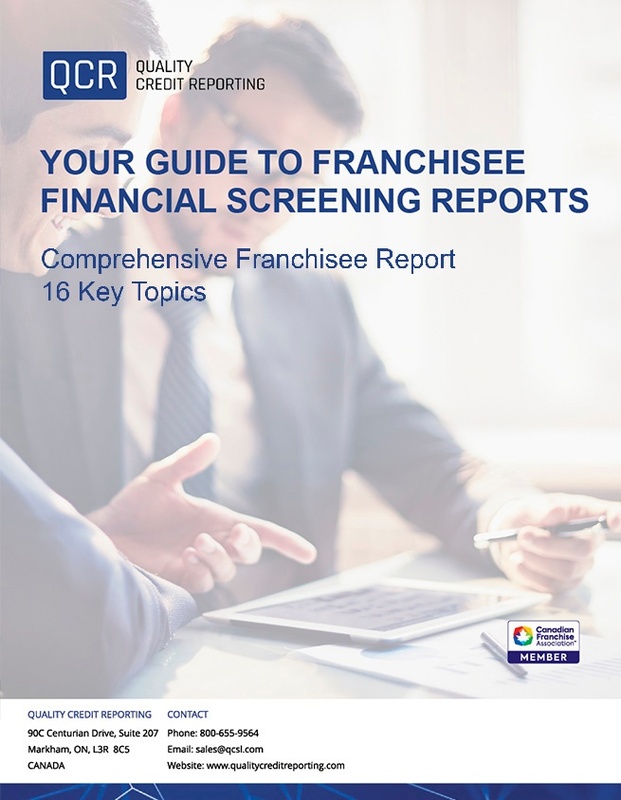 Learn more about our Franchisee Screening Reports from our new eBook. This step-by-step guide will help answer any questions your may have. 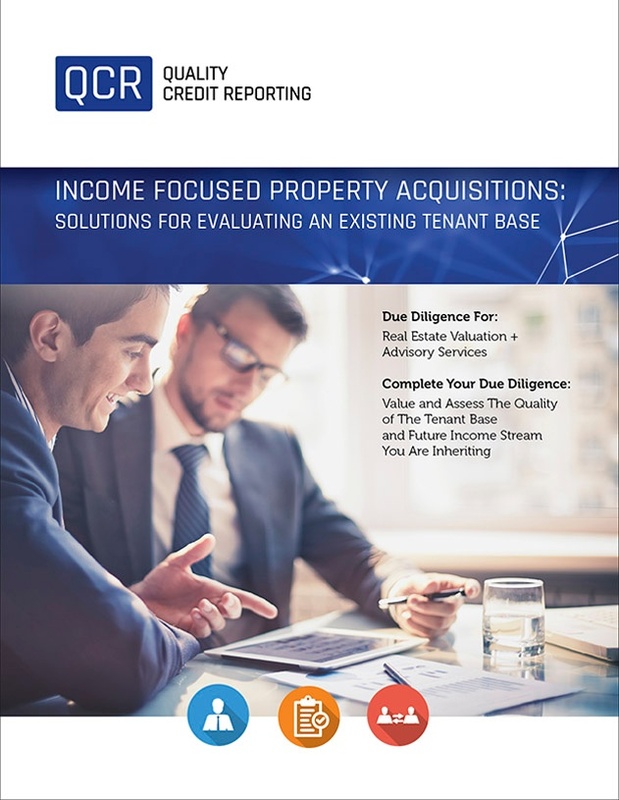 Complete your due diligence: Value and assess the quality of the tenant base and future income stream you are inheriting. 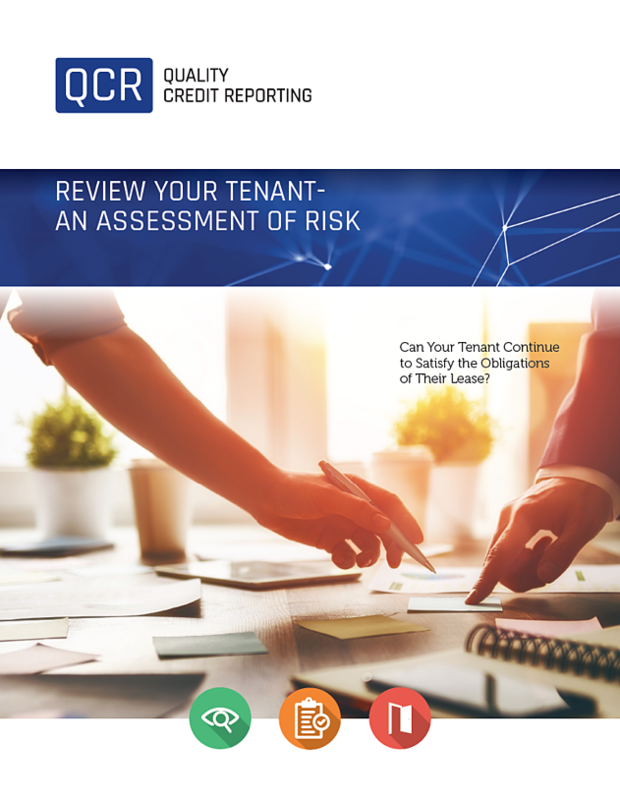 Protecting your investment, one tenant at a time. 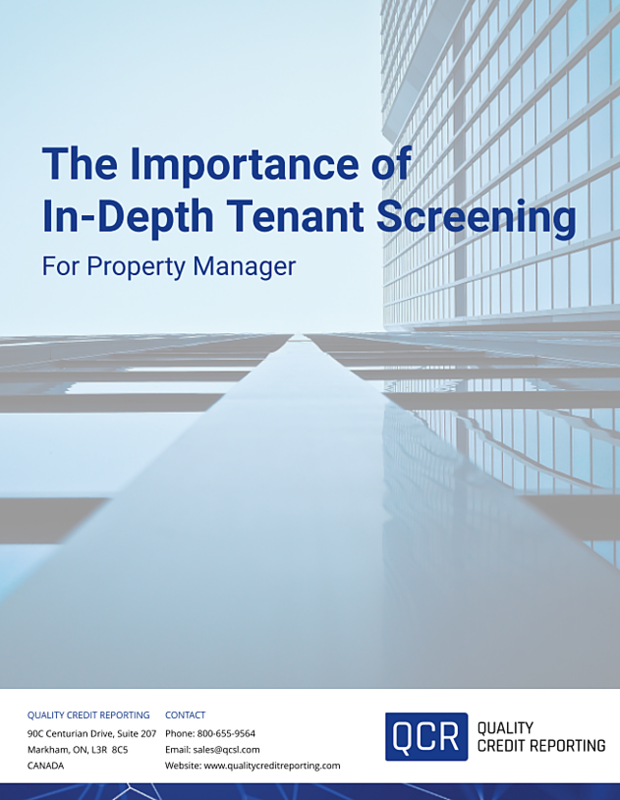 Tenant screening that works. 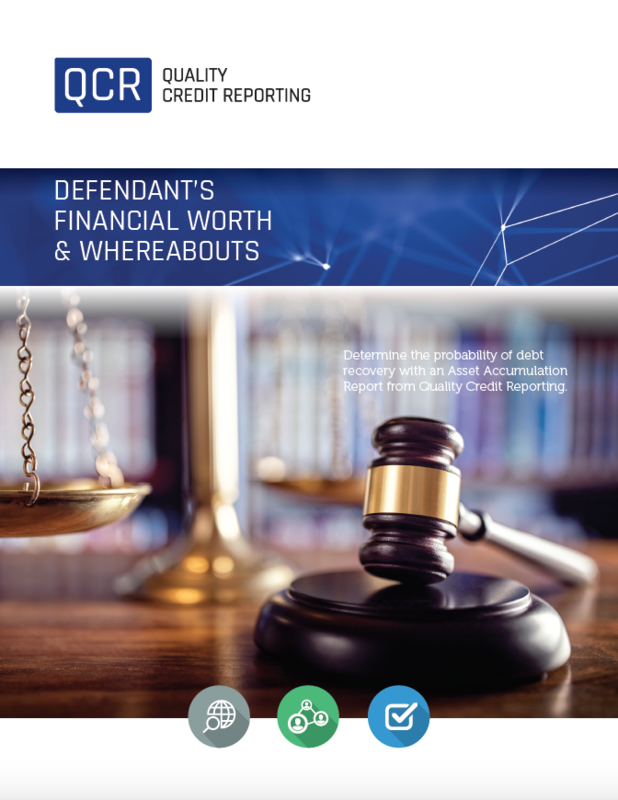 Determine the probability of debt recovery with an Asset Accumulation Report from Quality Credit Reporting. Getting it right: Know who is representing your brand. 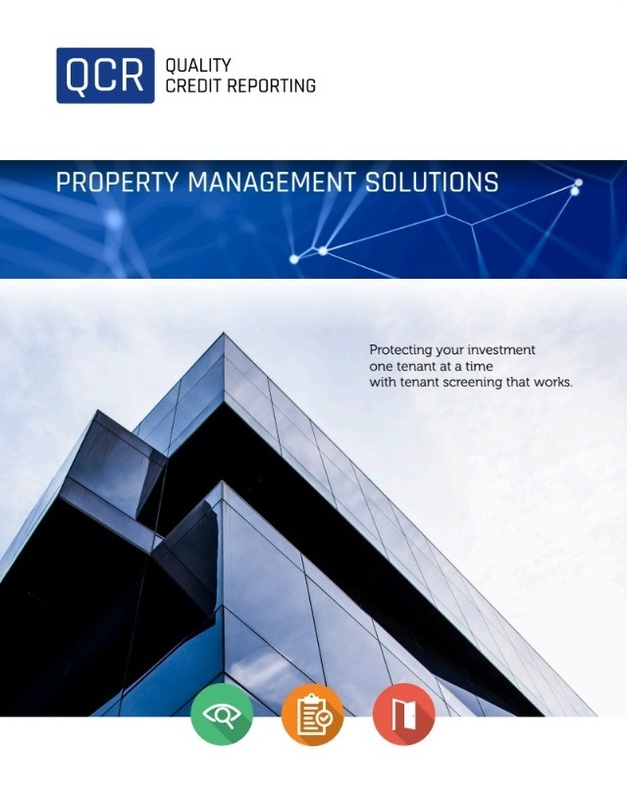 Franchisee screening that works. 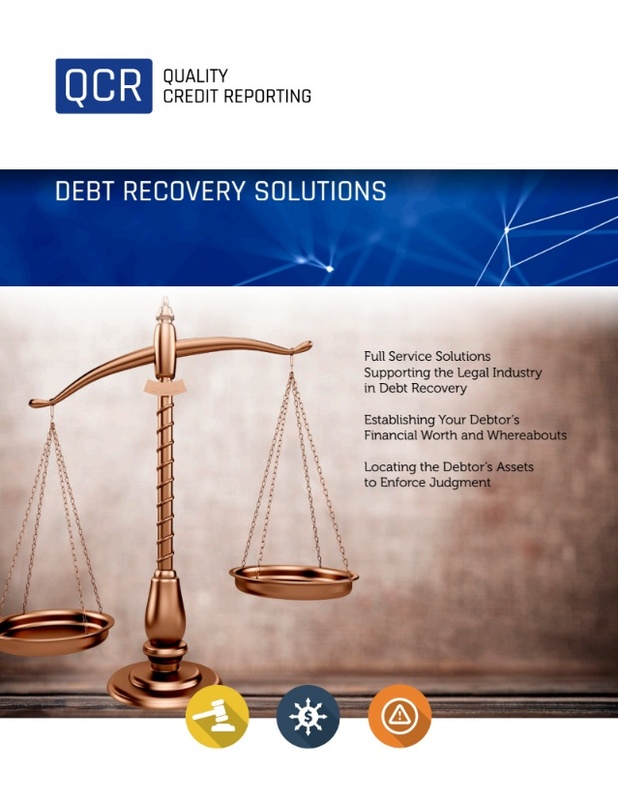 Full-service solutions to support the legal industry in debt recovery. 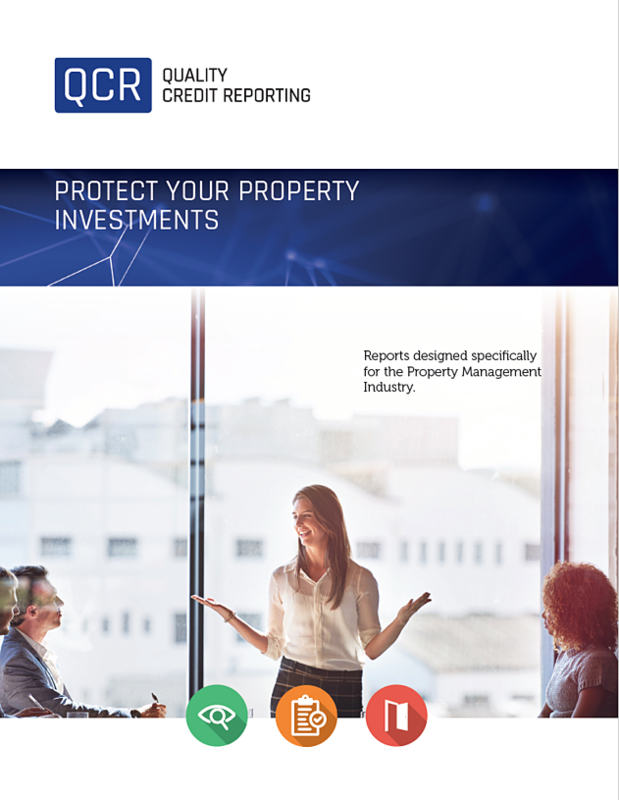 Reports designed specifically for the Property Management Industry. 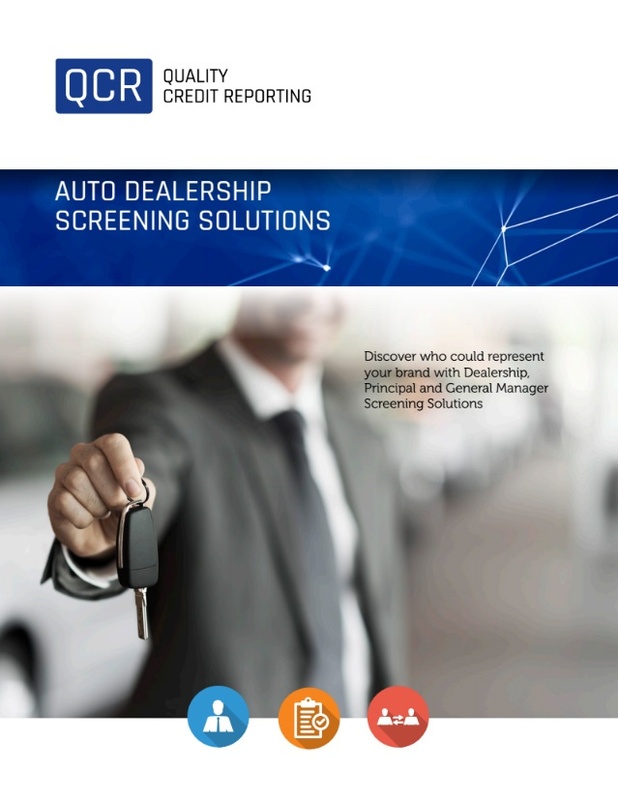 Discover who should represent your brand with Dealership Principal and General Manager screening solutions. Protect your business by hiring the right candidate the first time. 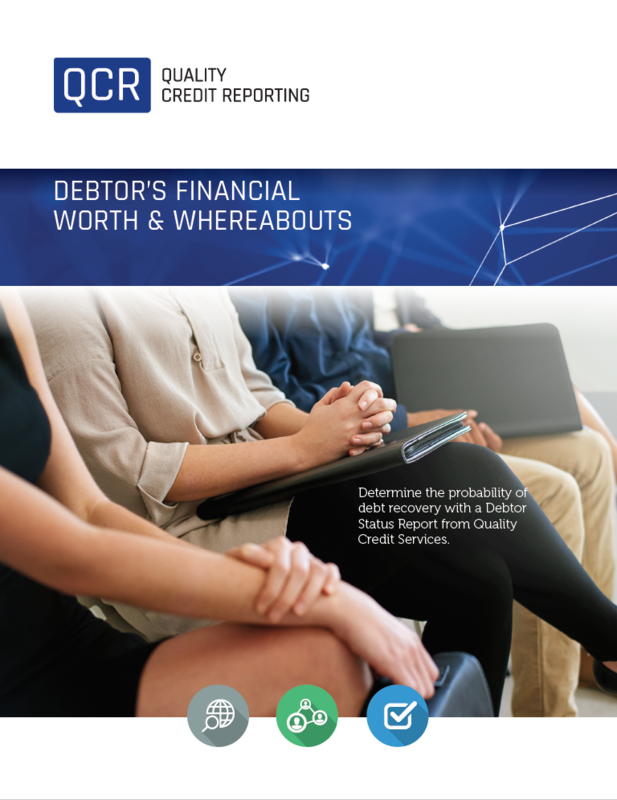 Determine the probability to debt recovery or satisfy your judgment using a report from Quality Credit Reporting. 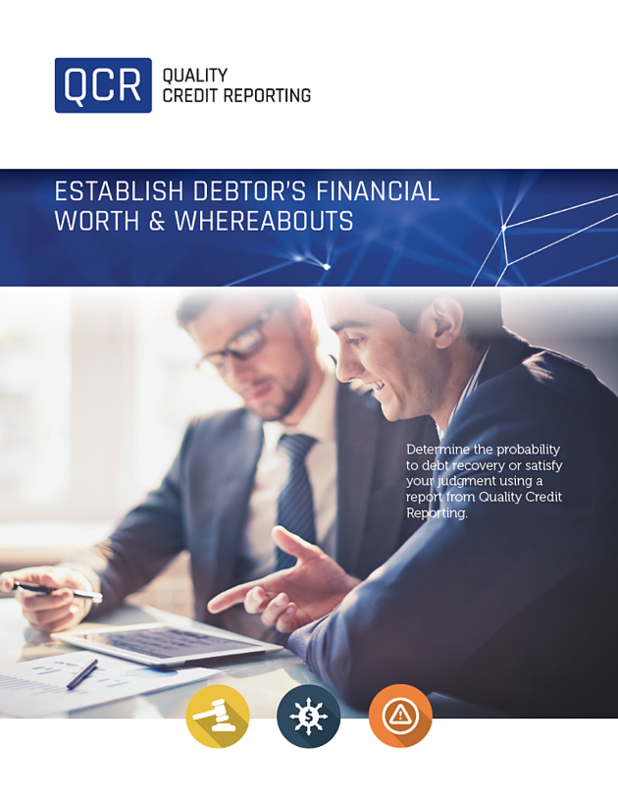 Determine the probability of debt recovery with a Debtor Status Report from Quality Credit Services. 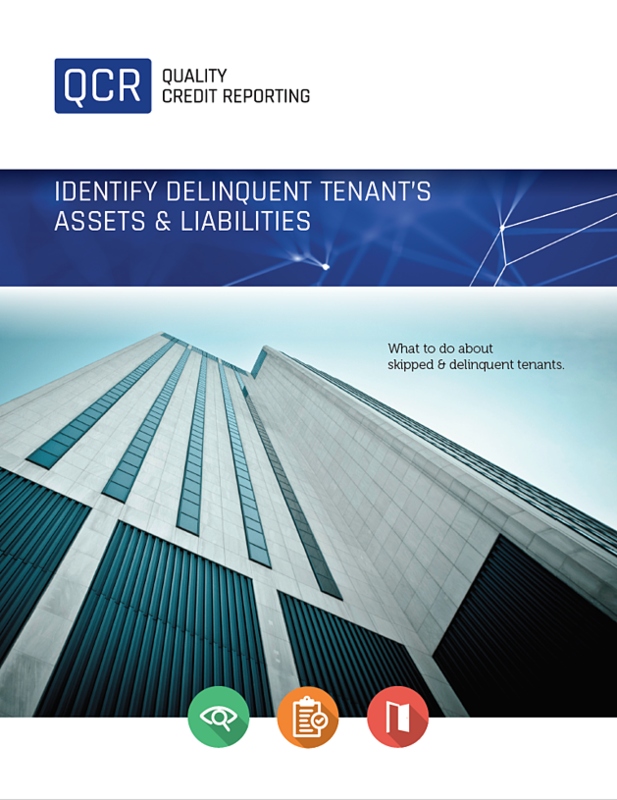 Can Your Tenant Continue to Satisfy the Obligations of Their Lease?